Soft drinks are becoming increasingly popular as a serious alternative to alcohol as concerns about health and national non-drinking months such as Sober October and Dry January grow in our consciousness. 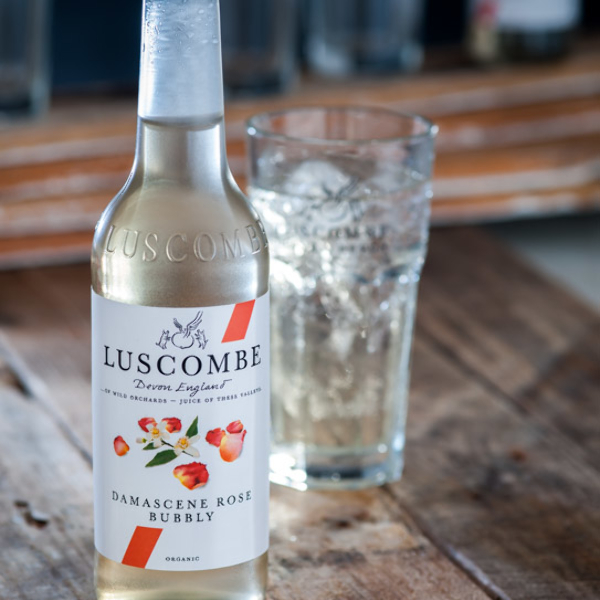 The recently launched www.shopsatdartington.co.uk website is bang on trend with a selection of Devon produced food and drink, including the NEW Luscombe Drinks Passionate Ginger Beer and Damascene Rose Bubbly (available in a four pack, £7.99). Recommended by Nigel Barden on Radio 2's Simon Mayo Drivetime show, these delectable drinks are made on a farm in Devon and offer a serious alternative to a glass of wine or beer for the discerning non-drinker. Fresh root ginger is milled at Luscombe the day before the rest of the ingredients are added, to make their award-winning refreshing ginger beers. With organic passion fruit juice, Passionate Ginger Beer delivers a perfect balance between the heat of the ginger and the subtle sweetness of the passion fruit.